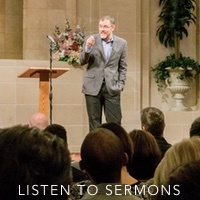 I have a feeling that many of you would love to listen to every episode of the CrossTalk podcast, but many of you don’t know how to subscribe. The good news is, it’s super easy! And once you subscribe new episodes will be automatically downloaded to your phone and you won’t have to do anything but listen. On iPhones this app comes preinstalled. There are other apps you can use (even for Android phones), but the Apple Podcasts app is probably the most simple one. 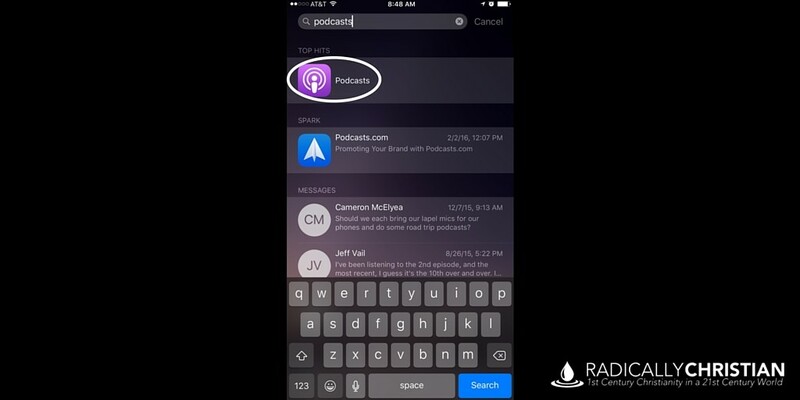 Once you open the Podcasts app, you’ll see featured podcasts. 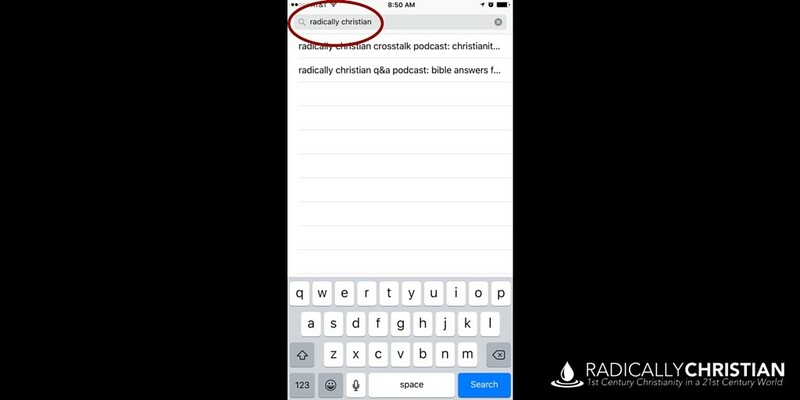 Click on the search button (with the magnifying glass) in the bottom right hand corner, then type “Radically Christian” in the search box and hit the blue “Search” button. 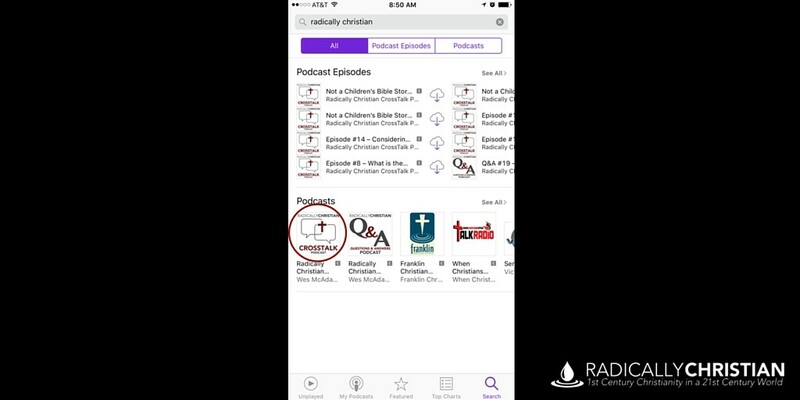 Under the “Podcasts” heading, click on the icon for the “Radically Christian CrossTalk Podcast.” Make sure you click on the large icon on the bottom row and not on one of the smaller icons up top. These smaller icons will take you to individual episodes. 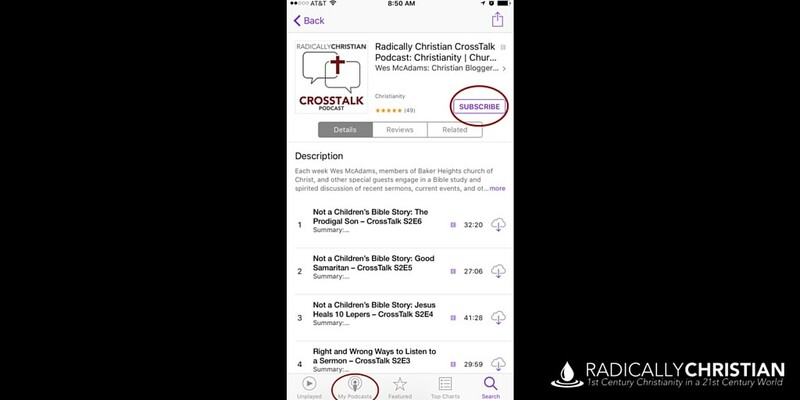 Now all you have to do is click the “Subscribe” button and you’ll be subscribed to the CrossTalk Podcast. To listen to the show, once you’ve subscribed, just click on the “My Podcasts” icon on the very bottom of your screen. This is where you’ll find all the latest episodes. Hope you enjoy! Thanks for listening to CrossTalk!